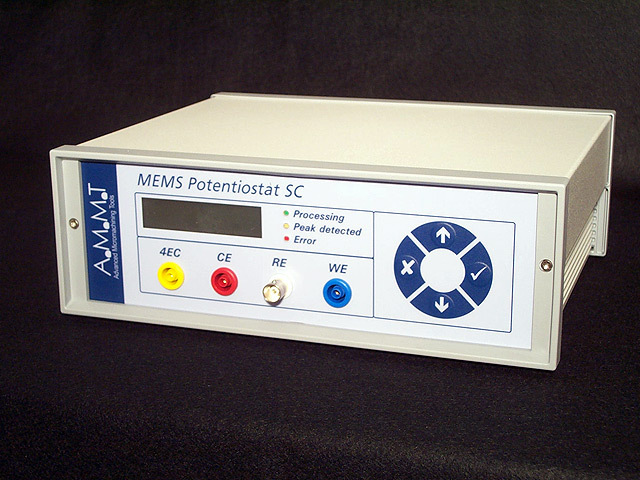 A dedicated potentiostat for electrochemical etch-stop proceses. 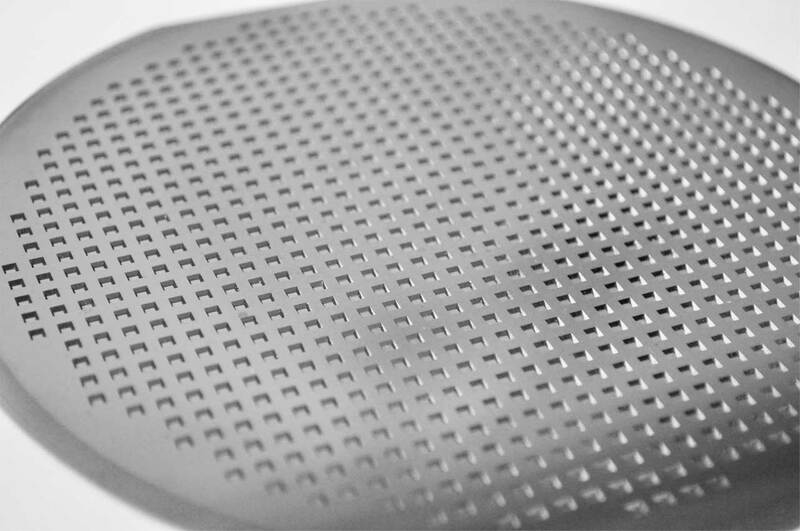 The MEMS Potentiostat Model SC has been especially designed for the use with electrochemical etch-stop techniques in silicon micromachining. The fabrication of many microelectromechanical systems (MEMS) depends on a reliable and easy to use potential controller for this processing step. The MEMS Potentiostat meets both needs. First, a high degree of integration and use of a powerful microcontroller are proof for the technical standard of this system. Very low noise op-amps, precision voltage references and high accuracy A/D- and D/A-converters guarantee excellent reproducibility of your etch-stop process. All outputs are short circuit protected and shut-down if overloaded. The unit detects common error conditions, as a broken wafer or cable, and alerts the operator providing an error description. The MEMS Potentiostat comes with a dedicated software for Microsoft Windows XP/7/8 gives the user control over all potentiostat settings. In this case, the computer logs all data, presents them on screen and saves them to disk for later use.